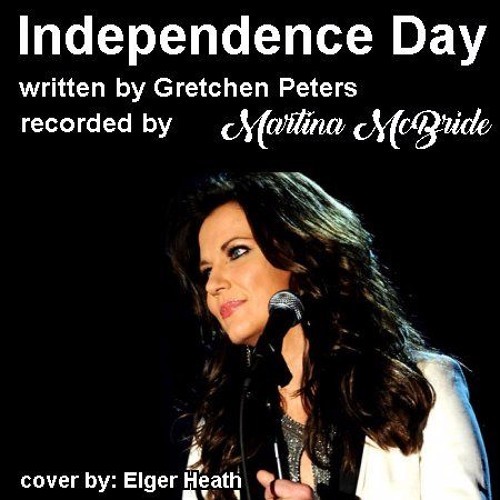 In 1994 Martina McBride released a recording of a song called 'Independence Day'. Now all great songs need a hook-line. A hook-line is a phrase that has a double meaning. In this tune the hook-line is “Its Independence Day”. One first assumes she means the Fourth of July. America's Independence day, but what she is really referring to is the point where one can no longer tolerate an existence full of abuse. When that time arrives, watch out whoever gets in the way! Freedom is due, come Hell or highwater. This song was written by Gretchen Peters and it tells the story of a woman in an abusive relationship who decided there was only one way out, but she is going to take her abuser with her! This is not the kind of story that Nashville likes. It is somewhat abrasive and would appear to glorify anti-social behavior. This is another example of an artist that bucked the powers that be and recorded a song that they'd rather avoid. In the end, this a great hit for Martina McBride and just goes to show. If a song has a story behind it with real meaning, it will get somebody's attention. Here is my cover of Martina's hit 'Independence Day'. I hope that you enjoy it.